The following are actual reviews submitted to us by FertilAid users who have been trying to conceive for an extended period of time. To learn more about FertilAid, or to purchase, click here. I’m 42 years old my wife and I have one son 1.5 years old, she’s 12 years younger than me and has PCOS. We’ve tried clomid for her and other fertility procedures we didn’t get pregnant. I started this and we got pregnant the first month with our second child. We are both so greatful and excited. I stopped all caffeine completely and that helped also. It works if you stick to it. Fairhaven Health is worth a shot! So check this out, after years of trying to conceive, and with no luck. I did some research and decided I would try fertility pills. I must admit I was a bit skeptical at first, but after sticking with it for a a year or two, then BOOM magic happened!! 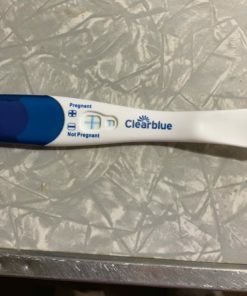 One day as I was leaving for work, with a wondrous look coming from my wife’s face she told me that she is pregnant while standing in our bathroom with the pregnancy test kit in her hands shaking from joy. That day I was in shocked and it was hard for me to focus at work. I kept on telling myself that this must be a dream, and this is not happening. Fast forward a couple of days later and to the doctors office, reality kicked me in the head and said “Hey, stupid don’t you get it? The pills worked.” So here I am some odd years later with two beautiful girls. So in a nutshell, if your trying to conceive with no luck, Fairhaven Health is worth a shot. I used this like in 2010 and it works I wish I could give it 10 stars my spouse got pregnant fast this is a wonderful product.